Well, The Walking Dead never lasts forever, not even for Andrew Lincoln. So, Abraham Ford’s days came to an end, but now Michael Cudlitz is back on the family comedy, The Kids Are Alright, playing the father. Based on creator Tim Doyle’s childhood, The Kids Are Alright is set in the ‘70s with the Cleary family. 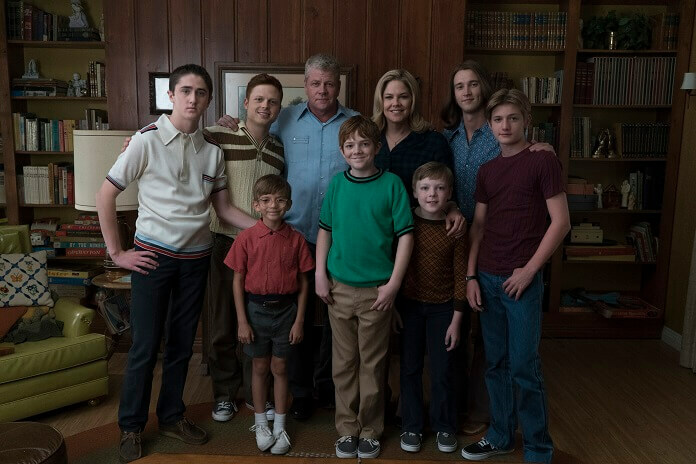 Cudlitz plays Mike Cleary who has eight kids with his wife, Peggy (Mary McCormack). Cudlitz spoke with reporters after a Television Critics Panel about the show. The Kids Are All Right premieres on October 16, 2018 at 8:30pm ET/PT on ABC. You’ve played a lot of very intense characters. Have you gotten to play many dads? What does Mike Cleary do for a living? Will we see scenes of you fixing the plumbing like Tim’s dad? Do you have any nostalgia for your own childhood? Would you go out on your back and not come back until late? Having lived through that era, what is it like to recreate it on a daily basis? How is the schedule compared to The Walking Dead location schedules? Is it more physically comfortable than Walking Dead? How soon did you know The Walking Dead was going to end for you? Did you watch your final scene? What would you most like people to know about The Kids Are Alright?